Reach a highly influential community of technical professionals. 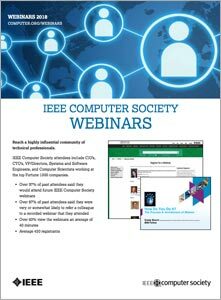 The IEEE Computer Society is known around the world for its cutting-edge webinars presented by true Subject Matter Experts. Now, associate your brand with our expertise in webinars prepared by you—or by us. Drive your brand and business forward with the IEEE Computer Society’s cutting-edge community.